windows | Hi. I'm John. 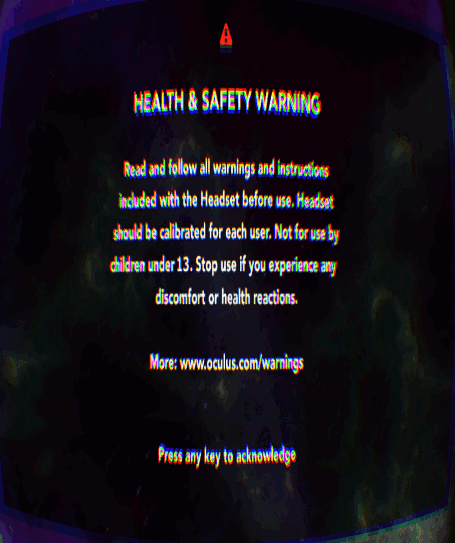 I understand the need for a warning when loading an app for the first time off of the Oculus Share store, etc. but as a developer it’s insanely annoying to have to go through this thing every single time you run your game. So, if you’re working on an Oculus Rift app and you want to get rid of it while you work on it, here’s how to do it in Windows. 1. Create a text file called “oculus3d.reg” with these contents and run it. 2. Open the Oculus VR Config Tool and click on the “Advanced” button underneath the player height field. 3. Check the box confirming you don’t want to see the warning any more. 4. Develop your game faster by being able to save 10 seconds every time you test your game. There exists an obscure music format that an entire generation of kids grew up with, most without ever realizing the sub-culture and community that had grown up around them. The file format is called Music Modules, or Mods for short. There are many different kinds of Mod formats, each with their own unique set of features, but they all work using the same basic principles: The Mod file contains the “patterns” (digital sheet music) as well as the “samples” (instruments) that play according to the patterns. In this way it is somewhat of a cross between a MIDI and an MP3 file. Because each Mod includes the instruments with the file, each Mod can have a unique sound. Mods were frequently used in videogames and PC games during the 1990s. If you had a Super Nintendo, Sega Genesis, or Atari Jaguar, chances are you have listened to Mod music and never even knew it. The Mod community has been around for a long time and includes some of the best Demoscene musicians in the world. Making your own mods is free and easy and when you’re finished with your masterpiece you can unleash it on the world for comment and rating via websites like The Mod Archive. In order to make music modules you will need a computer with a sound card (if you bought a computer after about 1993 you should be okay :D) and a Tracker. The Tracker I use most frequently to make Mods is Schism Tracker. 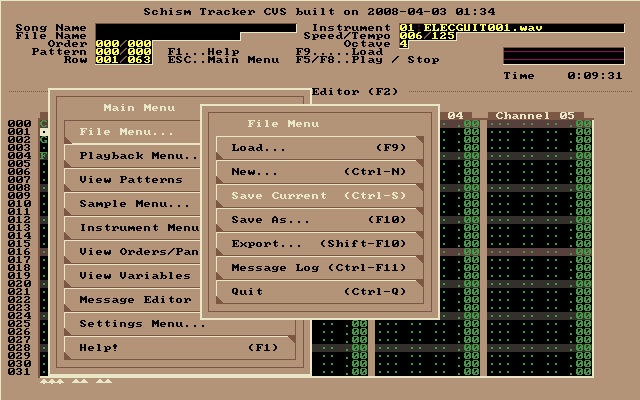 Schism Tracker is a remake of a classic DOS-based Mod Tracker known as Impulse Tracker. Schism Tracker will run on Windows, Linux, and Mac and is free to download. If you’re interested in getting started with making music on your computer, check out this tutorial for Impulse / Schism Tracker and have fun! Well, it’s been just over a month since I made the switch to Linux from Windows. My distribution of choice for desktop PCs has always been the fantastic Mandriva Linux. 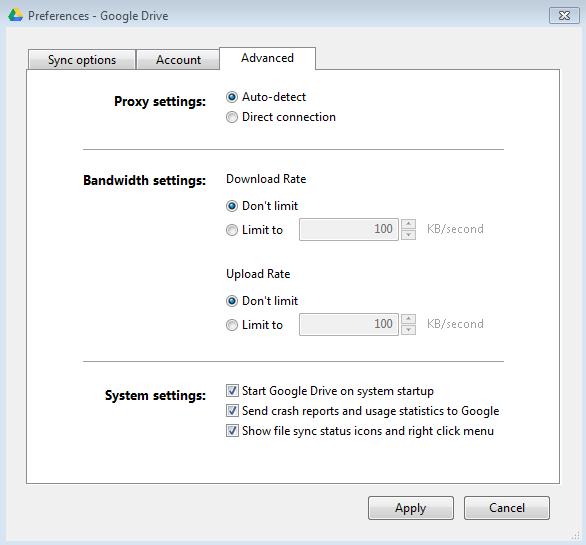 Available for free with plenty of included software (Open Office suite, the Firefox web browser, Kopete messenger, Amarok media player, and much more), it’s always done the trick and looks wonderful doing so. I have two physical hard drives in my PC. The first one is mounted ‘/’ for all my system files and programs. The second drive is my ‘/home’ directory, where all of my documents are kept. All of the system files are kept entirely separate from my documents.This sort of division is done even with one single hard drive automatically by Mandriva so that if I ever need to format or upgrade the operating system I don’t lose any of my pictures, movies, or music, ever. Life without Windows is certainly possible. I’m living proof. And the stuff I use my computer for is likely more intense than your average Joe since I’m a web developer. All of the required software that I use on a daily basis is available and runs great in Linux. All of my games worked out-of-the-box using the Windows games and software emulator* (Read more about the Wine project). I’ve included a screenshot of me playing Morrowind. It runs great. My girlfriend and I played through Max Payne on this PC, as well, and we’re a quarter of the way through the Quest for Glory 2 remake (which is a lot of fun, by the way) on my other Mandriva Linux PC (our media center). If you’re considering running Linux or if you’ve heard about it and are curious, give Mandriva Linux One a try. It’s pretty simple: You download it and burn it onto a blank CDR. Reboot with the disc in the drive and you can use it right off the disc without actually installing it. If you like it, go ahead and install it. Otherwise, just take the disc out and reboot — nothing has been changed on your computer. * I realize Wine is technically not an emulator, but when explaining what it does it helps to use that term. Need a Color Picker? Try Nattyware’s Pixie. This thing is really handy. It’s tiny — it only takes up 8k of RAM (which is what’s left over on a typical Vista install :)), it’s loaded with features, and it works as advertised. If you find yourself wondering what the hex color value of an item on your screen is, this tool will tell you. Simply start the program then hover your cursor over any color to retrieve its hex, HTML, RGB, CYMK, and HSV color values instantly. I’d buy PlayOnLinux and Cedega and Crossover Games (while maintaining a great working relationship with the good folks still at Crossover working on apps) and put together (with some hefty funds behind them) a crack team of DirectX hackers and previous Microsoft DirectX programmers to put together a fully-functional, working DirectX emulator for Mac and Linux. Then, port all those changes back into the Wine trunk while promoting an off-the-shelf Windows games player. I truly believe that if games worked on Linux flawlessly there would be a greater adoption of Linux on desktops worldwide. I know locally it is a huge hurdle to jump. All of my friends are interested in Linux, two of them have the ISO sitting on their desktop. Why are they not making the switch? One: Games. The other: Sony Vegas. People want to use it but they want their games too! Game development and publishing companies wouldn’t have to write games to be cross platform if the emulator worked perfectly. They would go on making Windows games while Linux continues to grow in installed user base. Making games for Linux is not the answer, making Linux work for games is!